Big Apple Amusement arcade. Before it became Flat's - Owned by County Developtment Property's - Same as The old County Bingo ! Bluto is correct. I knew the Regal very well as I lived in George Street beside McCormacks dairy. This cinema was, if my memory serves me well after 50 years, was further out of town than the Regal and on the south side of the street. I have a memory of it being on a corner facing back towards the town centre. I was a noughts and crosses champion at the ABC Minors. It was sixpence downstairs and nine pence up stairs. My career on stage has been downhill since. Gallows were erected all over Paisley - the hangings weren't exclusive to Gallowgreen. Some of the executions also had additional punishments added - there was a chap who killed his wife. He was caught in an unusual way. He was pouring a visitor a glass of whisky but reached under a bed in his home to get it and instead produced a glass of blood. Bizarre enough in itself. However they actually cut his hand off before hanging him as part of the punishment. There was a bawz up and the executioner severed across the palm rather than the wrist, which is apparently much more painful - guess you had to be there. Provan's axe was kept on display for years as a exhibit for for weird folk. Shame they didn,t keep one for someone special. Flogging burds was also fairly commonplace. The Paisley cheggies were taken naked from the waste up with their hands tied behind their back then flogged in front of large crowds - mostly chefs.....and were whipped in full view of the public and then carried back to their cells. Flogging before hanging was also pretty popular in the 18th century and well into the 19th century...just in case anyone thinks I am speaking about pre-RickMcD times. Spot on, a couple of gate houses still stand, one of which is the clock tower, the other on west lane, and what I can only imagine was a storehouse of some sort, which is also flats at the end of the canal weir. 'I danced with glee, I jumped with joy, for I was here.....' Oh the hell with it! I saw a bit of flogging when I was younger but not before the big drop. Today's building is so good I have two shots of it. I'll show the second and more obvious pic later on but start with the not-so-obvious however I doubt that any Buddie wouldnt recognise it. 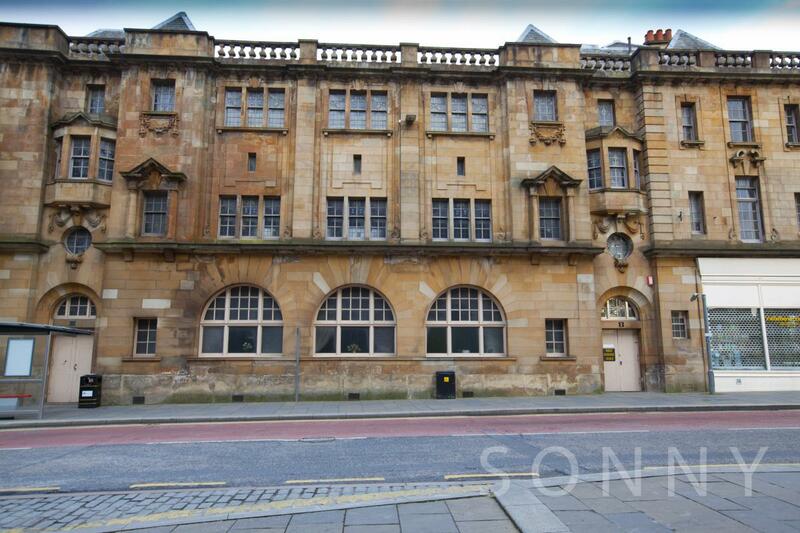 I was only in this building once and was impressed by its interior but I was only a wee boy when my Grannie took me. Would love to have another look inside. Looks like Smithhills St to me? Don't know what the building was, though. Wondered about that, but the entrance being on Gauze Street threw me. does anyone remember what it was called. Think the 21st BB was based there (22nd in Sherwood kirk? Or other way round...). Anyway - GREAT halls for indoor fitba! Must have been... for THAT memory to have lasted so Long! Pretty sure you got that right,Bluto. Our janny at Langcraigs John Martin was an officer there and the 22nd.was definitely at Sherwood. I remember reading something by Billy Connolly saying that his first ever professional gig was in Paisley and I think he said it was in the Methodist Halls. Edited by bluto, Today, 08:35. Guess the memory might have lasted that long, but now has a few gaps! Anyhoo - back on topic....that picture shows the Methodist Halls, and I know the old Jail used to be where the piazza is, but the river was open, where exactly was the jail in relation to where the piazza/methodist halls are today - on the Smithhills side of the river or the Gilmour St side? Back in the day there was a wee walkway between Maxwellton and Queen Streets that led there. It was used as a drying green.